So what have I been playing this month that I can recommend? A couple of very different adventure games, and the actual release of one of he success stories to come from Steam's Early Access program. 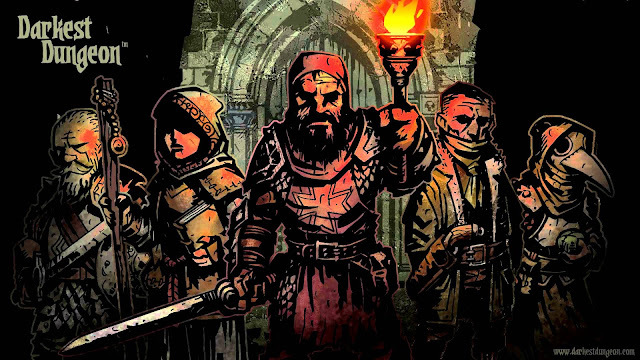 I talked about Darkest Dungeon in my favorite games of last year since I had played the early access a lot. It officially launched at the end of January and I finally got a chance over the last few weeks to invest some time into the final build. I'm happy to report it's still a fantastic little game. If you haven;t seen it in action it's a kind of rogue-like dungeon crawler where your group of heroes suffer some serious psychological side effects along the way. The game sees you taking a rag tag group of mentally disturbed heroes into danger, and playing through the various areas and dungeons in a hybrid between side scrolling exploration and turn based combat. It's also one of those 'punishingly hard' games where part of the point is that your heroes die. They go crazy, they even willfully disobey you, but it all fits so well with the aesthetic that even I, someone who dislikes 'hard' games, found myself happily delving deeper into the masochistic pits of despair with my crew of misfits. It's got a lot of character and is well worth your time! The first of the two adventure games, is not just retro, it feels like it could have come directly from 1995 or so. 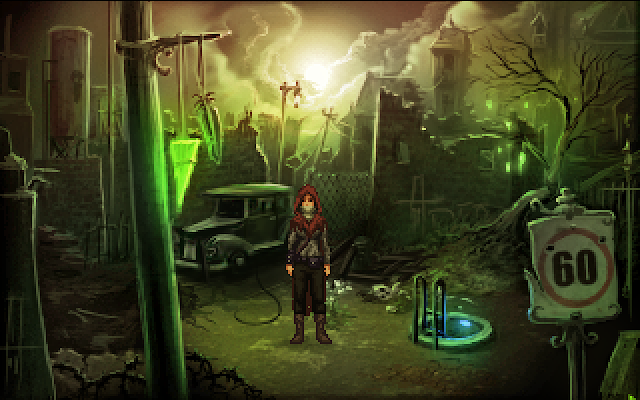 Shardlight is unapologetically old school, as is the style of developers Wadjet Eye. Everything feels like a 90s point and click game, from the pixel art, through the controls, to the fact that it tells an interesting story with interesting characters. By and large the puzzles avoid being too obtuse (perhaps that's the one modern affordance on display here). It sees you taking on the role of a young survivor in a post apocalyptic world where some civilization still hangs on. People, including your character, are dying of a mysterious plague, and the limited supply of the cure is used as a form of dystopian control over the remaining masses. It has some smart things to say. While the format can feel a little clunky to a modern audience, once you see past that there is an engaging narrative to unwrap. If adventure games are your thing this is one you should check out. 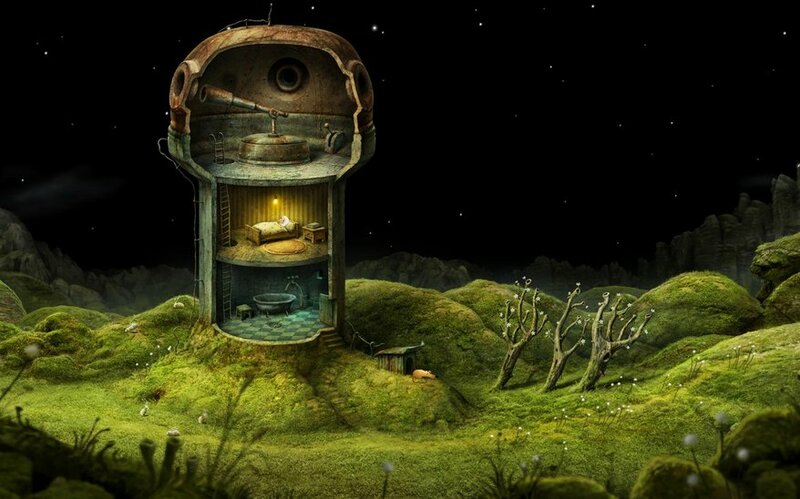 Lastly we have the latest creation from Amanita Design, Samorost 3. If you have played any of their previous games (Machinarium, Botanicula, or the previous Samorost games) you know what to expect. This one is another gorgeously artistic game in a surreal world that has you exploring, solving puzzles, and encountering all manner of truly bizarre creatures. There is some brilliant design on display here as the game doesn't have a traditional narrative, yet always finds a way to prod you in the right direction. Just as the characters are alien to us, their motivations and desires are more suggested to us than they are explained, but your goals are always surprisingly clear. It really is a great example of how to deliver unusual narrative to players, while not treating them like infants. It's also beautiful throughout, and while it isn't a lengthy experience, you'll be done inside five or six hours, it is an experience worth exploring and embracing. So that's it for this month. I've also been exploring around the edges of Black Desert Online, but that game is so packed with systems, many of the obtuse, that I probably need some more time with it before I decide how I feel about it.